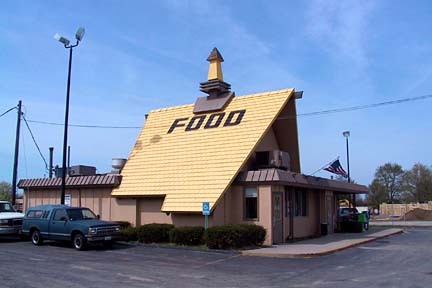 HOJO Junctions operate under their own version of our famous orange roof. Inside, however they are quite different. 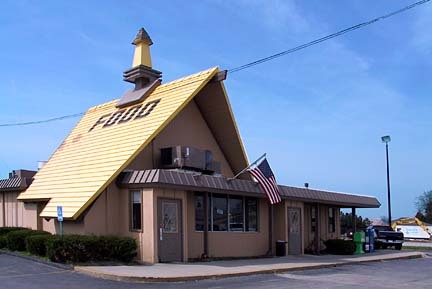 They're self service restaurants featuring a limited selection of standard Howard Johnson's foods such as frankfurters, hamburgers, fried clams, fried chicken and ice cream. The cost is low--no item on the bill of fare is priced above 99 cents. Food is served in specially designed disposable containers. There are no individual menus--guests make their selections from the menu board. Instead of waitress service in a carpeted dining room, HOJO Junction customers serve themselves and carry their food to an attractive, but not fancy booth. Howard Cummings, corporate executive vice president of operations noted that "seating is provided for 60 people in the informal interior. Many will have out door tables as well. Our purpose is to provide quality products at a modest price in an attractive, but less formal environment. A family casually dressed in sports clothes can enjoy a snack or hot meal in our relaxed atmosphere." He added that the units were "half the size of our conventional Howard Johnson's restaurant, took only half as much time to build and operates well with half the staff...For years the younger generation has used HoJo as a nickname for Howard Johnson's--now the company is capitalizing on the strong sense of identification with young adults, the under-30 set." 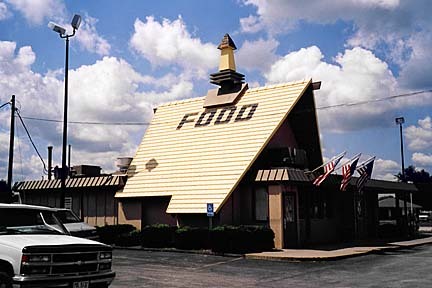 HOJO Junction's large A-frame was a stand-out visual cue designed to remind patrons of the Gate Lodge lobbies at Howard Johnson's Motor Lodges as well as the newly introduced extra-large full service "Concept '65" Restaurants. Initial plans called for company owned units in Troy, Findlay, and Miamisburg, Ohio, Miami Beach, Florida, Crescent Springs, Kentucky, and Atlanta, Georgia. 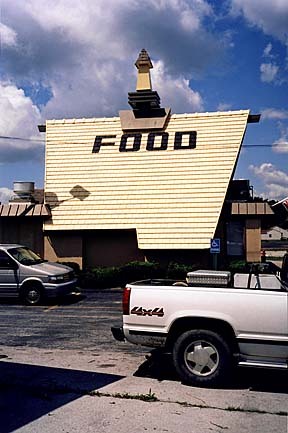 These were to be followed by 50 franchised locations mostly along I-75. President Howard B. Johnson described HOJO Junctions as "designed for today's young, mobile population." 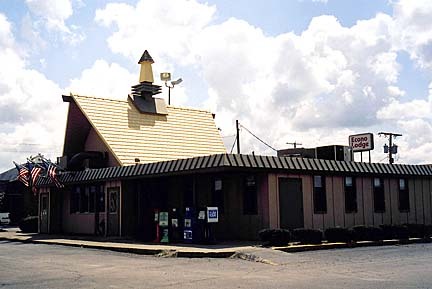 Only three HOJO Junctions were built, and they became regular Howard Johnson's by 1973. 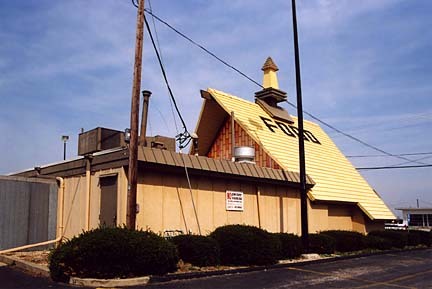 The Troy location closed in 1976, with both Findlay and Miamisburg ceasing HoJo's operations in 1977.The Howard Johnson Company only half-heartedly attempted to enter fast food and failed to crack into the growing and lucrative market. Ironically in the company's last days in the 1980s, Howard Johnson became a franchise operator of Burger King Restaurants!